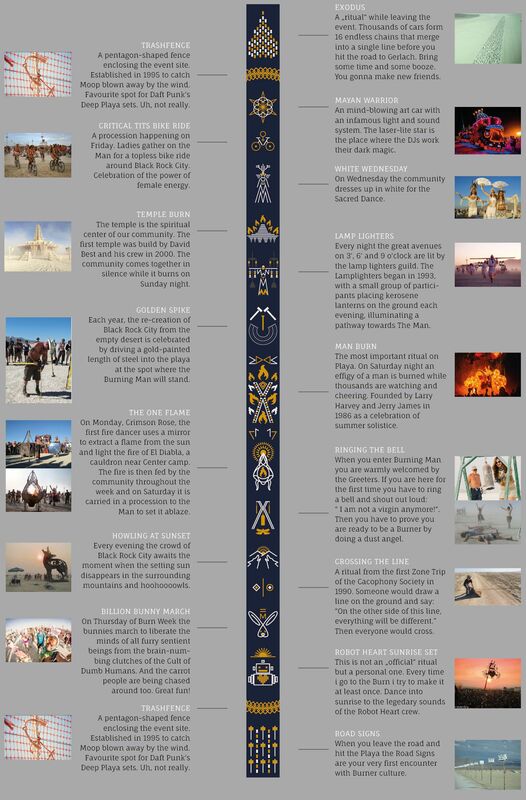 This wristband takes you on a journey through the traditions and rituals of Burning Man and puts them on your wrist. For your personal memory and to show your friends what Burner culture is about. It is meant to read from bottom up since it follows the timeline of events during the week. For practical reasons the most important events are gathered in the middle since the ends of the wristband are often cut off.